The passing last week of Dan Haggerty has had me thinking about my Grandpa. In case you don’t remember… Dan Haggerty played Grizzly Adams on the TV show by that name. My Grandpa didn’t have the long, scraggly beard but he was very much like the character Grizzly Adams. He thoroughly enjoyed animals and kept a farm full of them… and not just regular farm animals. He had deer, elk, buffalo, zebra, peacocks, and bears! He had two bears. A black bear named Lucy after the character from the Peanuts cartoon. There was also a brown bear named Ben after the bear on the Grizzly Adams TV show. 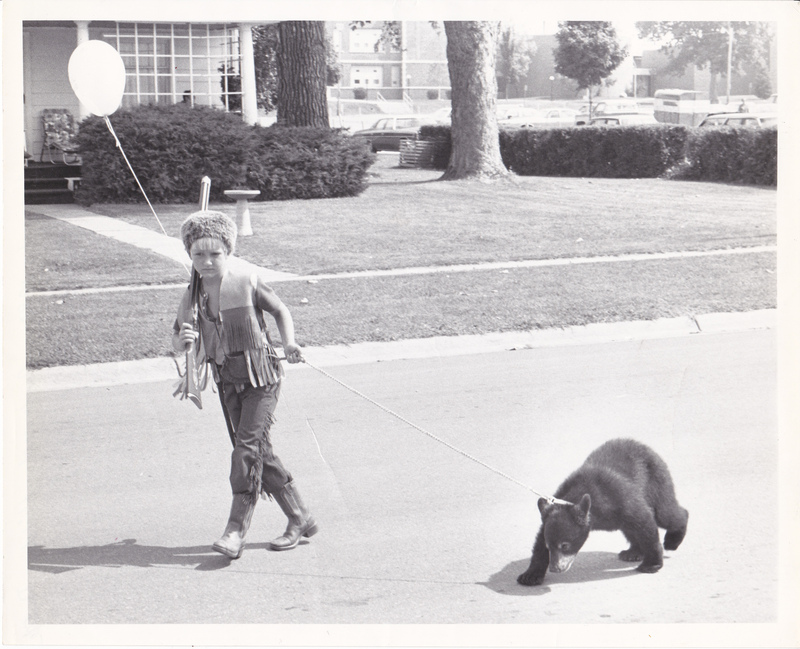 I vaguely remember going with my Grandpa and my Aunt (who’s just a couple years older than me) to get the bears when they were babies. They were probably about the size of small cats at the time and we named them on the ride home from getting them. 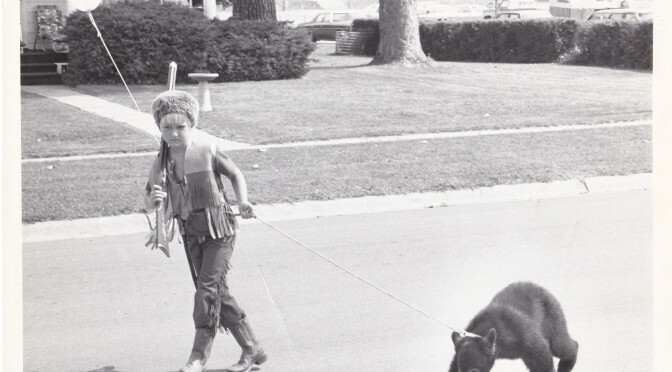 When the bears got to be the size of labradors my brother and I dressed up like Daniel Boone or Davey Crockett and walked them in parades. My Grandpa loved his bears. Especially Ben and it was obvious that Ben loved my Grandpa. They would wrestle and Grandpa would hand feed him apples. They were one of Ben’s favorite things to eat. Having bears and Grizzly Adams on my mind made me want to watch the TV show again. I found some episodes on YouTube and the other night we watched the first episode. My youngest, at first, was against it. She had no interest in watching an “old timey” show but ended up liking it (I think). I really liked it and wish there were more quality, family shows like it on TV today.